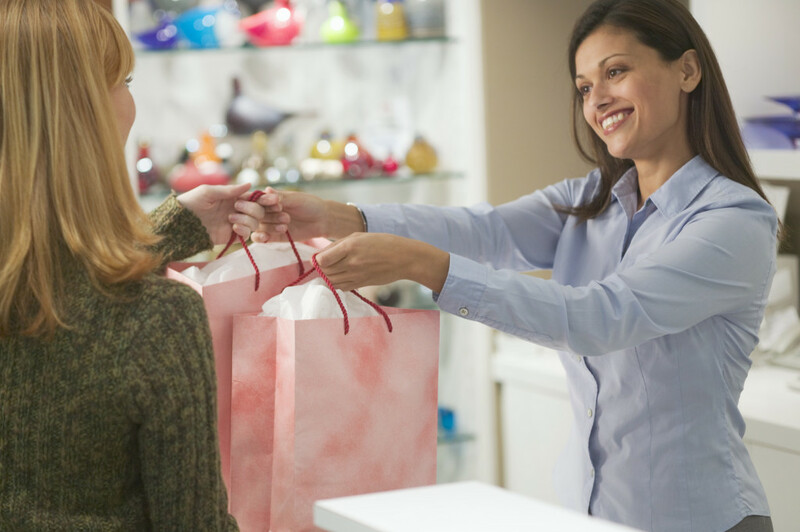 If you want to open a retail store, there are some facts you need to know. If you can’t accept this then owning a store is NOT really for you – plain and simple. All of these “rules” start with the assumption that you are a pleasant person who enjoys dealing with most people – a MUST for retail. Retail life in no way resembles any sort of role play or “dress up” you engaged in as a kid. It is hard, laborious (yet potentially rewarding) WORK. Be prepared to dig in & do it. For more on new retailer needs, click here. Your role is to buy merchandise that will appeal to your target – and to be knowledgeable about, and sell, that merchandise. It is not to outfit yourself, your family and your friends. If that’s your goal, get a great job working for someone else & have fun pleasure shopping. You will almost never be on time for anything, ever again. This is not pessimism, this is real talk. If you are committed to your business and your customers then you will be late for simple things like eating a meal or more important events, such as a graduation or family outing. Fact. Make sure those who are near and dear to you know this ahead & you will save yourself some hurt feelings from misunderstanding. Balance is possible, but this is different than an office job where you leave at 5:00 everyday. It just doesn’t work like that. You must be observant. This will help you in forecasting your buys and in closing the customer sale. If you are opening a store to be the center of attention, you will seriously want to reconsider your desire. Being the owner puts your needs at the bottom of the pile, on the path to success. This venture is actually not about you; it is about your customer. People will come to see you specifically if you treat them well, but remember your job is to cater to their needs. To piggyback off of number 4: Utilize consultative selling practices. This means you need to be prepared to have a brief conversation with the customer to identify their needs (notice that is not “wants”). People often think they want one thing, when in fact they need something entirely different. If you sell the want to the customer you have not actually made a sale, you’ve acted as a clerk. Once they get home and realize they don’t need this item there’s a pretty good chance it will be returned – something you want to avoid as much as possible. When you consult, identify and then fill a need, you can almost guarantee the item will not be returned. See this article for more on consultative selling. Enjoy being active. View running around the store as your exercise for the day. If you like to literally sit and chit chat all day then being a retailer is not for you. Brief conversations are great for rapport and relationship building with customers, but if you are successful with that then there will be very limited time for actual sitting. Trust us on this – that stool behind your counter will be brand spanking new in 5 years if you do it right! Hire at least one person to run things when you are not there, who has a great demeanor & plenty of experience in the industry. This will be invaluable to you!! Create store hours & stick to them. There’s nothing more disappointing to your customer than showing up at your store and you are inexplicably not open when your publicized hours say you should be. This sends a loud and clear message to the customer than you don’t care about them or value their time. Know the jobs beneath you and be ready to “dive in & do” at any moment. If you don’t understand the basic mechanics of a solid sale, merchandising your store or buying goods and supplies then you can’t identify what a good GM, Buyer or Merchandiser looks like in order to hire them, and you will be rendered helpless if you do get good people who have to call out some time. Retail, and fashion especially, is a constantly evolving and ever changing landscape today. If you want to stick to routine and are content with in the box thinking, get an office job. The BEST retail stores change with the times… whether that is some shift in their goods for sale or in the way they are displayed or sold, it is a fact that you need to have an evolutionary mindset when it comes to your business, if you want stability and/or growth. There are several little pieces to running a successful retail brick & mortar shop. If you can accept these truths then you’ve taken the first step to creating a long running independent business. Contact us to move forward with your plans!